Quaderno supports automated billing and VAT & GST compliance for SamCart. Any time you receive a payment, Quaderno will generate a beautiful receipt for your customer. If you wish, we can even automatically email that out for you, without any manual intervention. 2. 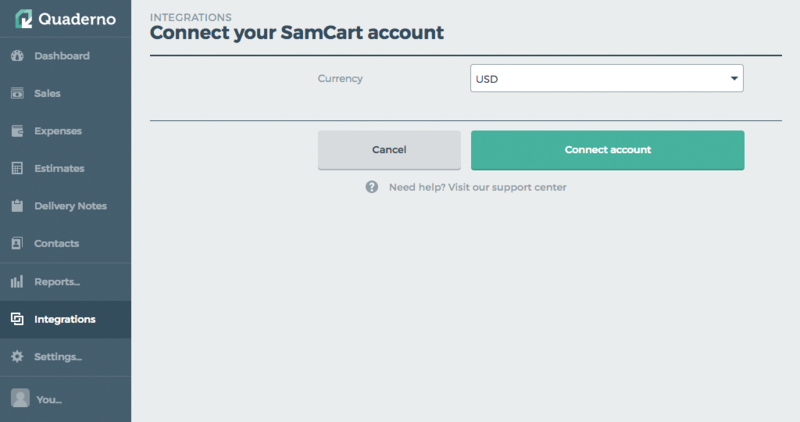 Select your default currency on SamCart and click Connect account. 3. 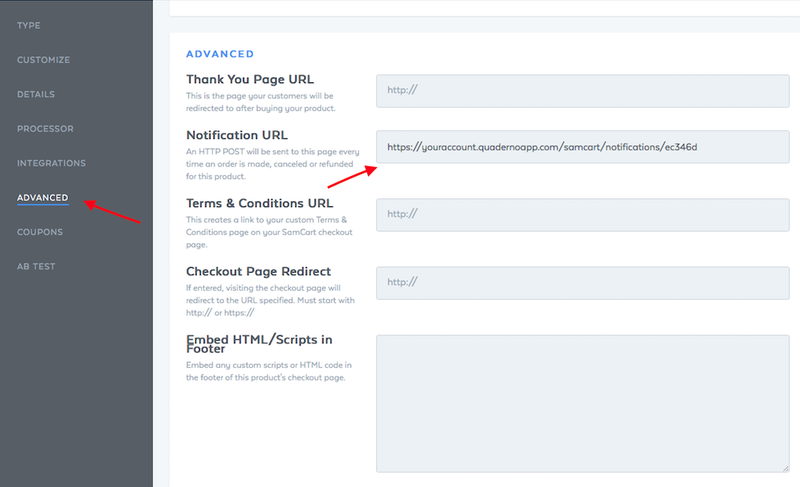 After submitting the form, you’ll get a personal Webhook URL. Copy that URL. 4. In a new tab, log into your SamCart account, go to Products. 5. Select the product you want to invoice with Quaderno and go to the section Advanced. 6. Paste your personal URL that you copied in step 3 in the field Notification URL. 7. Save the changes. Quaderno will be notified every time you receive a payment or make a refund. That’s all! You can now relax knowing Quaderno is automatically making beautiful, compliant tax receipts for your customers without you having to lift a finger.